During the initial consultation, one of the most frequent questions is: “Will I lose my driver’s license because of the DUI?” The short answer is that it depends. After a DUI arrest, your driver’s license is impacted in two ways – the administrative suspension and the court ordered suspension. First, the officer will often trigger an “on-the-spot” suspension when he makes the arrest and seizes your driver’s license on the spot. This suspension is called the “administrative” suspension because it occurs at the Florida Department of Motor Vehicles and Highway Safety (DHSMV). The administrative suspension will last from 6 months for a first DUBAL (driving with a breath / blood alcohol level over .08) to 18 months for a second or subsequent refusal to submit to a breath, blood or urine test. The hard suspension is the period during which you are not eligible for a hardship license. 18 months for a second refusal. If you hire a DUI defense attorney at the Sammis Law Firm in Tampa, FL, we will demand a formal review hearing on your behalf to fight the administrative suspension. We can also hand you a 42-day permit so that you can keep driving during the time we are preparing for the formal review hearing. If the administrative suspension is invalidated, then you will not lose your driver’s license on an administrative basis. If you don’t get the suspension invalidated then you will need to complete DUI school, attend a hardship hearing, pay a reinstatement fee, and wait seventy-five (75) years for the DUI suspension to drop off your driving record. Second, the court will impose another “court order” suspension, but only if you are convicted of DUI. That court ordered suspension can be avoided by getting the DUI dropped, dismissed, or at least reduced to reckless driving (often called the “wet reckless”). fourth DUI in a lifetime is a lifetime revocation. avoid a DUI conviction in court. Contact a DUI defense attorney at the Sammis Law Firm to learn more about the consequences to your driver’s license after a DUI arrest in Tampa or Hillsborough County, FL. Call 813-250-0500 to discuss your case. Pros and Cons of Demanding a Formal Review Hearing – Instead of just stipulating that you were DUI for administrative purposes during the Review Waiver Hearing, read more about the pros and cons of demanding a formal review hearing. Find out why you lose your license immediately after a DUI arrest and how to contest the suspension. Find out how long you might lose your license for a first DUI, second DUI, third DUI, or fourth DUI after an administrative suspension or a court ordered suspension. Find out how to get a 42 day temporary hardship license so that you can drive to work, school or church after the arrest. This entry was written by lsammis, posted on August 4, 2017 at 08:01, filed under Tampa DUI Attorney. Bookmark the permalink. Follow any comments here with the RSS feed for this post. Post a comment or leave a trackback: Trackback URL. How about some DUI justice reform how about justice reform in Florida period. This whole situation reeks of greed to many people believing this can go on forever. America is the modern Roman Empire in quick sand. We have a whole society of homeless people a lot due to this legal system. Many finding ways to live off of a Government hand out because they can not get employed mostly due to Florida’s legal system. When will the supposedly 100,000 lawyers of Florida decide to pull the plug on the machine? I think lawyers in FLA profit off the anarchy. For example I think 20% of drivers have some sort of administrative suspension in kooky FLA. That’s a lot of arrests. That’s a lot of desperation. 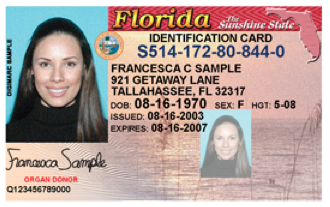 Do you think overlawyered FLA lawyers want this to stop? No, way, it would be financially disadvantageous. Same thing with the Draconian DUI laws; they lead to a sort of mass desperation that lawyers find lucrative. Cops and defense lawyers are, in a sense, birds of a feather…in other states it’s not quite so blatant.